Enoch L. “Nucky” Johnson, the Republican powerhouse from Atlantic City, dominated New Jersey’s political landscape in the early part of the 20th century. This book is dedicated to permanently preserving and celebrating his colorful life and legacy before the recollections of his accomplishments disappear and are washed out to sea by the sands of time. I have taken the liberty of recreating some of the dialogue between Nucky and others. I based these conversations on details I discussed with Nucky during the two-year period I represented him during his criminal fine case. 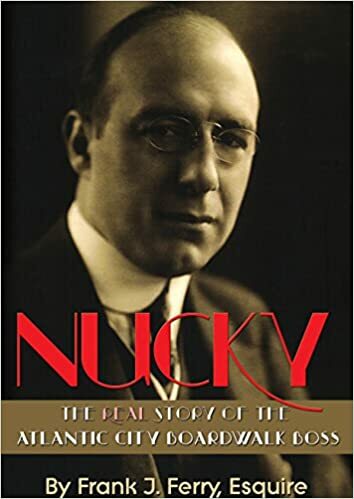 I also used excerpts from Nucky’s testimony before the U.S. Senate in 1928 and in his 1941 criminal trial, along with his depositions in his claim against The Saturday Evening Post and David Niven, and his interviews with the FBI in his application for pardon. These transcripts give us insights into Nucky’s true character through his own words. Many people also told me about the specific personal incidents they shared with Nucky, and are contained in this book. Marie Boyd, who worked in the Atlantic County Treasurer’s Office, was very close to Nucky and his wife Floss for many years. Boyd attended Nucky’s criminal trial, and she and her husband Jimmy, who was Nucky’s right-hand man, were my longtime clients. Senator Frank S. “Hap” Farley, Nucky’s successor and my law partner for 15 years, also shared a great deal of what he knew and remembered about Nucky. Even John Mooney, head of the Atlantic City Vice Squad, who was my client and friend for most of his life, spoke of Nucky in glowing terms. I also used the background of the actual events in Nucky’s life, from FBI reports, IRS records, trial transcripts, and others listed in the bibliography. All of these sources served to recreate the real life and times of Enoch L. “Nucky” Johnson.